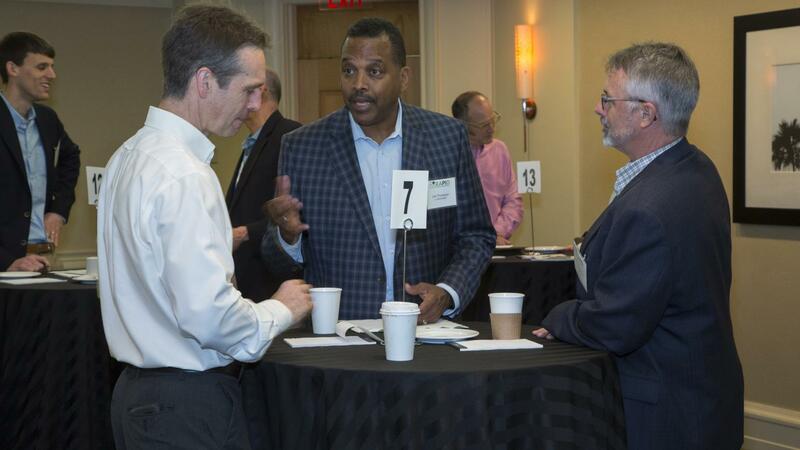 Several members at RAPID’s Technology Speed Dating event made numerous connections and business matches last month. In all, 27 members disseminated information on their process intensification (PI) technologies—from nascent concepts and technologies to more mature ones with possibilities for additional applications — all of which encompassed RAPID’s key focus areas. Additionally, members discussed objectives they were hoping to accomplish in terms of resources and/or scaleup of pilot facilities. RAPID Technology Speed Dating Event Leads to Matches! “We not only wanted to engage members but also provide them with a forum to exchange information about projects they were working on and forge viable partnerships that would help move those projects along. In that regard, I think we succeeded quite well,” stated Tom Walsh, RAPID’s interim CEO. “I probably talked to six people during the session and had substantial conversations with Rapid members Praxair and Michigan Tech,” noted Levi Thompson of the University of Michigan. While talks are still underway, the latter will be contributing techno-economic and life cycle analyses to a pending project.